All children learn in a different way than their peers. Children with diagnosed learning disabilities are no different. These learning differences can make it more difficult to adapt to a regular classroom or to fully understand and enjoy the same activities as their peers. But there is one area where almost all children are on equal ground: art. Because art, in all its forms, is subjective, children with learning disabilities won’t be pressured to do things exactly like everyone else. 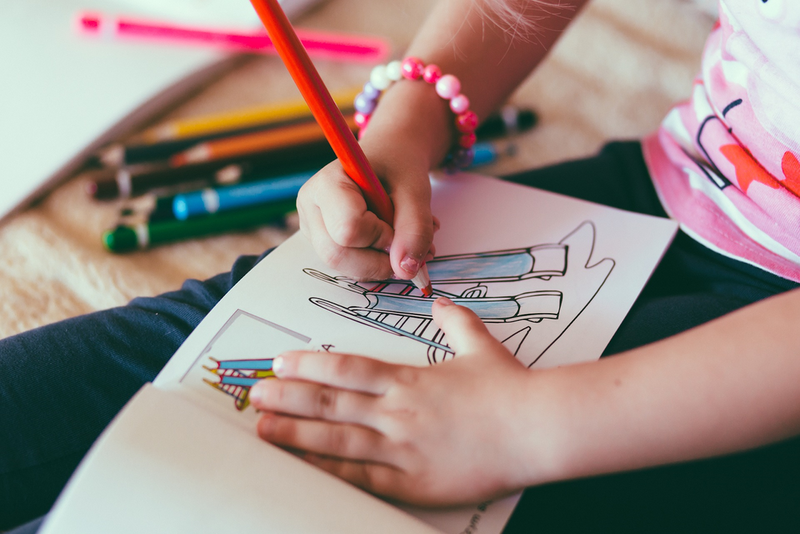 In addition to providing a self-esteem boost, art helps children with learning differences, such as dyslexia, ADHD, and sensory disorders, communicate more effectively and express thoughts and feelings in a way that makes sense to them, according to PBS.org. Art has been used since the dawn of man to help people convey ideas. And it can do the same today for a learning-different child. First, set up a designated hobby room where children have access to all the tools and materials needed to create their personal masterpiece. An easily-cleanable workspace, such as a non-porous table, will make things much easier. Storage is a must as are kid-sized aprons, scissors, and other art supplies. Redfin explains that a dedicated display area, which can be something as simple as clipboards or a string and clothespins mounted to the wall, will help children take pride in their work. Art projects run the gamut from crayon drawings to sculptures to hybrid science projects and everything in between. All children should be given the opportunity to dip their toes into the proverbial water until they find something that fits their personality and style. A few ideas for elementary and middle school students with learning disabilities include crayon resist paintings, corn meal and powder paint, and, when the weather is warm, an outdoor spray paint mural. Tutorials for these and dozens of other projects can be found on KinderArt.com. It can be difficult to teach a child with severe learning disability how to properly handle new mediums. However, it’s important that the student have the opportunity to use their problem-solving abilities to create their very own piece of art with minimal adult interference. Art Shop, a Minnesota-based art education program tailored to adults and children with developmental, cognitive, physical, and emotional disabilities, explains that, regardless of the child’s ability – or lack thereof – the end goal is to help the child feel successful through independent participation. While art offers plenty of opportunities for creative expression, there are also a number of concrete, academic benefits of drawing, playing music, and crafting. The arts open a new world of opportunities to students who don’t quite fit the mold of a traditional academic setting. They allow children with learning disabilities to explore complex thinking exercises and to experiment with difficult-to-grasp concepts such as math and science. Music, a form of auditory arts, teaches children about rhythm and rhyme along with sound and pitch and will encourage participation in group musical activities. Art can be used as a teaching tool in a number of creative ways. For instance, a child making a handprint fish may be open to talking about how fish survive underwater and the functional of gills and scales. Fostering creativity helps children of all developmental levels grow their social and emotional intelligence. It encourages analyzation and helps kids look at their education from a different point of view. Art bridges the gap between age, income, and abilities and allows a child to simply be a child and to self-direct their learning experience. There is no wrong way to create art just as there is no right way to teach it. Older PostNYC's PuppetMaster Praises "Spectacular Illusion"